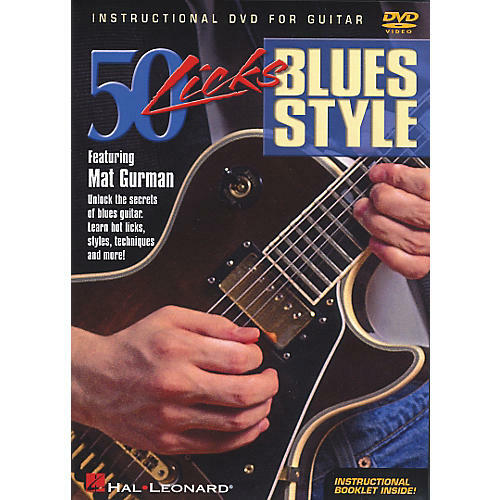 In the Hal Leonard 50 Licks Blues Style DVD, ace session guitarist Mat Gurman teaches budding bluesmasters 50 terrific phrases. Gurman demonstrates licks for dominant and minor blues progressions, turnarounds, intro licks, ending licks, stop time licks and many more. He also shows players the classic techniques used in blues guitar such as bends, pull-offs, hammer-ons, slides, slurs, vibrato, muted string raking and more! Each guitar lick is played in context, then demonstrated slowly with full explanations of every playing technique used. Includes an instructional booklet. 59 minutes.